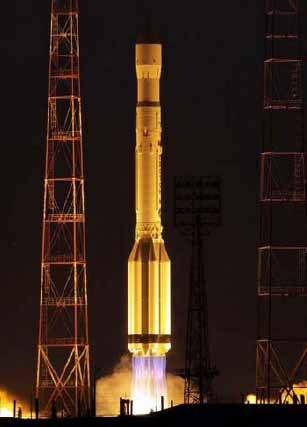 The first new-generation satellite GLONASS-K of the GLONASS navigation system has reached its targeted orbit, the Russian Federal Space Agency (Roscosmos) announced today (February 26, 2011). 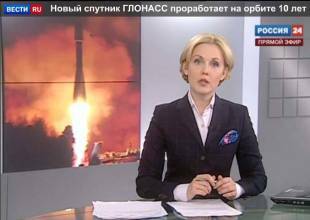 The Soyuz-2.1b rocket lifted off from Plesetsk cosmodrome at 6:07 a.m. (Moscow time) this morning. The GLONASS-K spacecraft was carried into its planned orbit by a Fregat booster at 9:41 a.m. Moscow time, according to Roscosmos public affairs office, which reported that the satellite separated from the booster as planned. 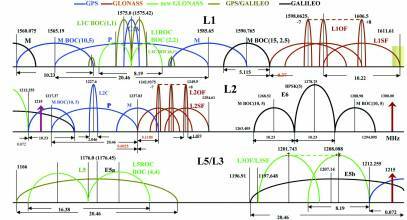 The GLONASS-K, which has a service life of 10 years, will transmit five navigation signals — civil and military signals in each of the GLONASS L1 and L2 bands and a new CDMA signal for civilian applications in the L3 band. Russia will add CDMA signals to its FDMA satellites, beginning with this GLONASS-K satellite and continuing on to a full set in orbit by 2020. At the L1 frequency (1575 MHz) favored by civil service providers, GLONASS will offer a BOC(1,1) — discarding the BOC(2,2) option that had disturbed guardians of U.S. military signals. And, according to GLONASS deputy designer Grigory Stupak, a BPSK(10) signal will eventually appear at the GPS L5 band centered at 1176.45. The Russian GNSS constellation currently contains 22 operational satellites.